Sony has announced a new Frozen costume pack for LittleBigPlanet 3 featuring the characters you can’t get out of your head no matter how hard you try. With this cross-promotion deal with Disney, LittleBigPlanet players can now transform their Sackboy into Elsa, Anna, Kristoff, or Olaf. The main human characters – Elsa, Anna, and Kristoff – can all be had for $2 individually, but if you want a shot at playing as Olaf you’ll need to buy the “Frozen Costume Pack,” priced at $6. It’s a pretty standard move as far as bundling goes to include one character exclusively in a bundle, and it was nice of Sony to not split up Elsa and Anna if those are the only ones some kids want. Along with these costumes, Sony is also releasing a free “Winter Creation Kit” for Little Big Planet 3, to let you finally build that snowman. From the promotional photos released by Sony (pictured below), it looks like you’ll have the ability to recreate Elsa’s castle and other iconic imagery from the film pretty accurately. Given the insane creativity of the LittleBigPlanet 3 community, the entire course of the movie will no doubt be playable in a few weeks time. 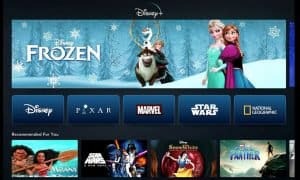 Even with Big Hero 6 coming out more recently, Frozen has remained the pop-culture mainstay for Disney and their animation arm, Disney Animation. Not only was it the highest grossing animated film, and the fifth highest grossing film of all time when it left the box office early this year, but its multitude of toy, record, video game, cross-promotion, and other sales is making it into one of Disney’s most profitable endeavors ever.